Microlease’s Through-Life Asset Management solution for the defence industry will be unveiled at DSEI. LEO 2 offers aerospace, security and defence manufacturers a fully collaborative working environment for managing deployed assets more efficiently, providing greater control and visibility of assets and the supply chain, optimising utilisation and lowering whole life costs. Based on Microlease’s extensive experience of through-life asset management, LEO 2 allows every contractor to implement best in class practice. It offers complete management of deployed assets, creating an accurate inventory of all assets held, tracking configurations and reducing turn-around times. LEO 2 provides visibility for the maintenance of the asset base including spares, and communicates this information through a secure shared logistics framework offering innovative dashboards and standard reports. LEO 2 is a combination of specialist software, helping customers manage complex challenges and asset configurations. Modules capture data relating to asset detail and configuration, asset movements, tracking and logistics, calibration and repair management, real-time management dashboards, and utilisation management. It features a completely new and intuitive interface that allows users to search for parts, assets and locations quickly and easily—drilling down to the exact building and area where an asset is being held. 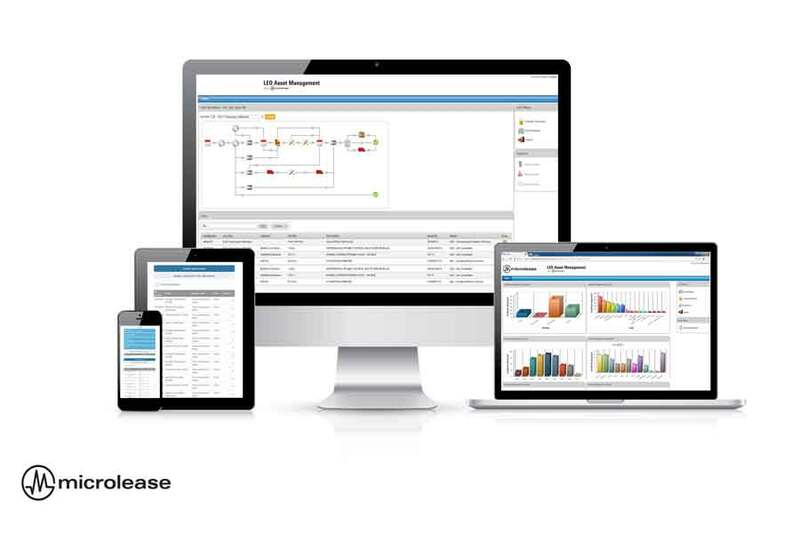 Data-driven workflows enable users to configure LEO 2 to reflect their in-house processes. The open database is compatible with SAP, Oracle E-Business Suite and other major ERP and financial systems. LEO includes standard MoD form reports and a key performance indicator dashboard. Microlease is offering LEO 2 in three formats. LEO Standard for customers who simply want to log and record assets and access basic asset management functions; LEO Select, which allows customers to understand utilisation by tracking assets; and LEO Elite, which provides full management of assets through workflows. LEO Standard and Select are cloud-based, and LEO Elite can be hosted internally or via a secure cloud. At DSEI, Microlease will be presenting six demonstrations capturing the key capabilities of LEO 2.